Glitter Sneakers Just $24.99! Was $70! FREE Shipping! You are here: Home / Great Deals / Glitter Sneakers Just $24.99! Was $70! FREE Shipping! Glitter Sneakers Just $24.99! Down From $70! FREE Shipping! This deal expires on December 28! 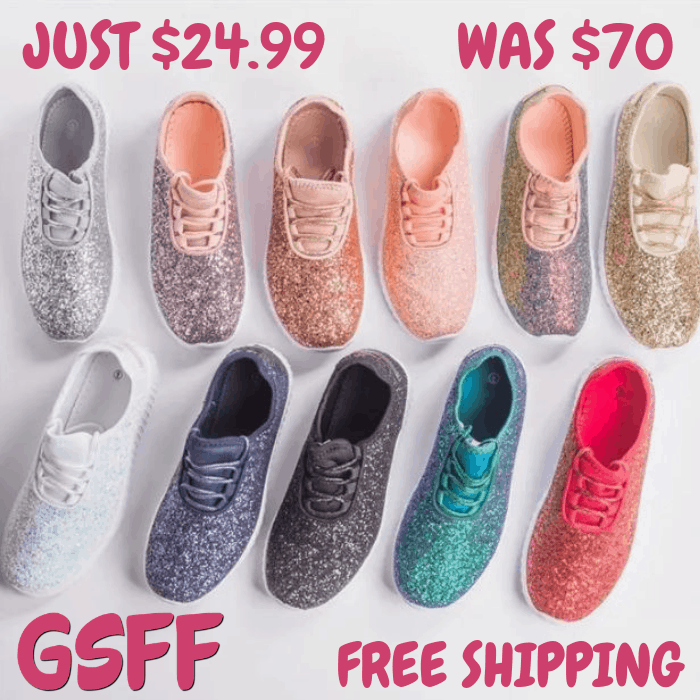 Jane is offering these Glitter Sneakers for just $24.99 down from $69.99 PLUS FREE shipping! Be true to the fit game while still keeping it glam in these super cute and comfy glitter athletic sneakers! They feature a closed/rounded toe, cushioned insole, and a rigid sole. Style with your favorite workout clothes for a vibrant look.